I think its fair that annoying, selfish, petty, and insipid characters get eaten by monsters. It makes the blood and guts that much more enjoyable. I love the last scene where they "say goodbye", and also liked that they flew close to the rings of the planet, because it looks SO cool. Friends of mine really liked the crash scene at the beginning. I have to admit, it's cool to watch a hypothetical space ship crash from many points of view. Although its not as scary or good as Aliens because the plot isn't there, the special effects and artistic details more than make up for it. Couple the eye/ear candy with a "good" bad-boy hero and "dark" hollywood ending, and voila, you have people waiting for the sequel. 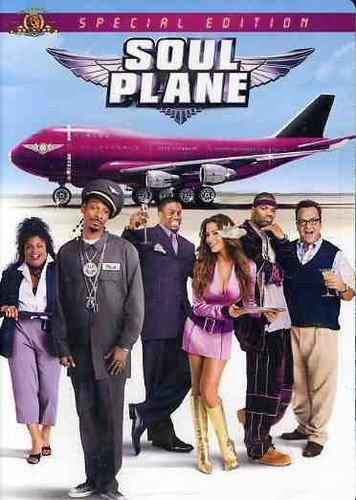 Soul Plane had its moments. It wasn't nearly as funny as Pootie Tang, but there were some good buts. I thought it was weird how the soundtrack sounded very similar to Pootie's theme song. Sadatay!